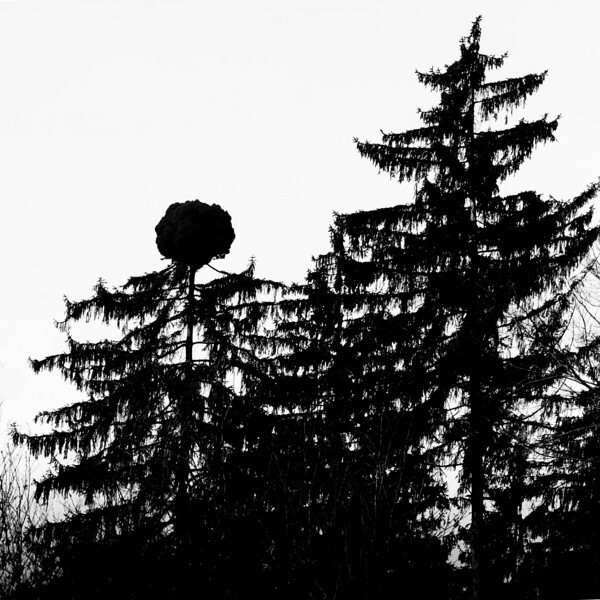 Tree silhouette 13: This is another addition to my tree silhouette gallery and the collection of strangely shaped trees. While the spruce tree on the right looks more or less normal, the specimen on the left has a rather unique treetop. The photograph was taken on a recent family bike ride along the river Töss.